The perfect modern set, brightly white with black bottoms and uniquely designed to help you fulfill your image of the perfect sleek elegant and modern sitting area. The bright colors open up the space and make it look wider and clearer giving you a lighter and more comfortable feel all the items have wood and wood doors which create unique shapes towards the outside making the pieces look like they have small glass windows. Just like any sitting area the heart of it is the TV stand. 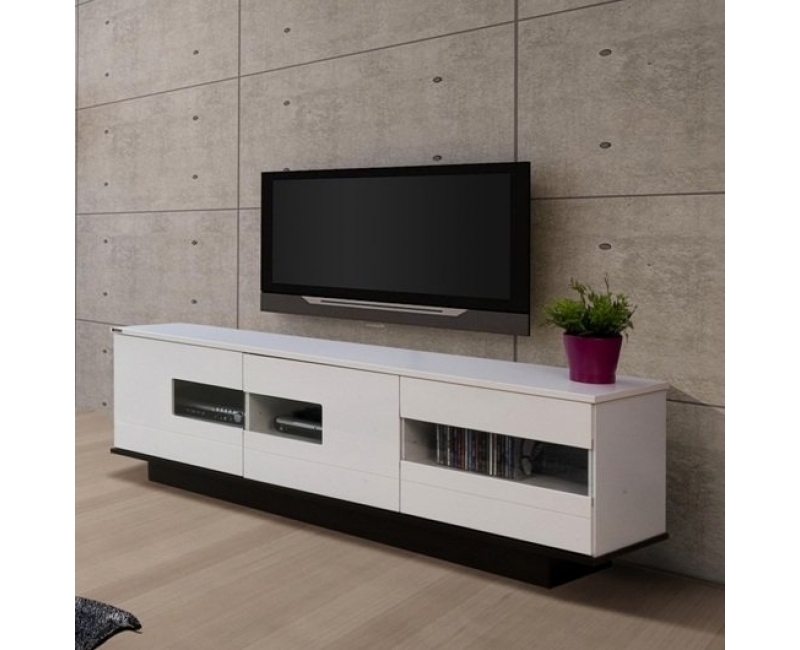 It is modern and unique, and just right for a flat screen TV but also suitable for any television set you own. It has six shelves to hold your electronic devices, magazines, TV guides or any items that have to do with the entertainment center. 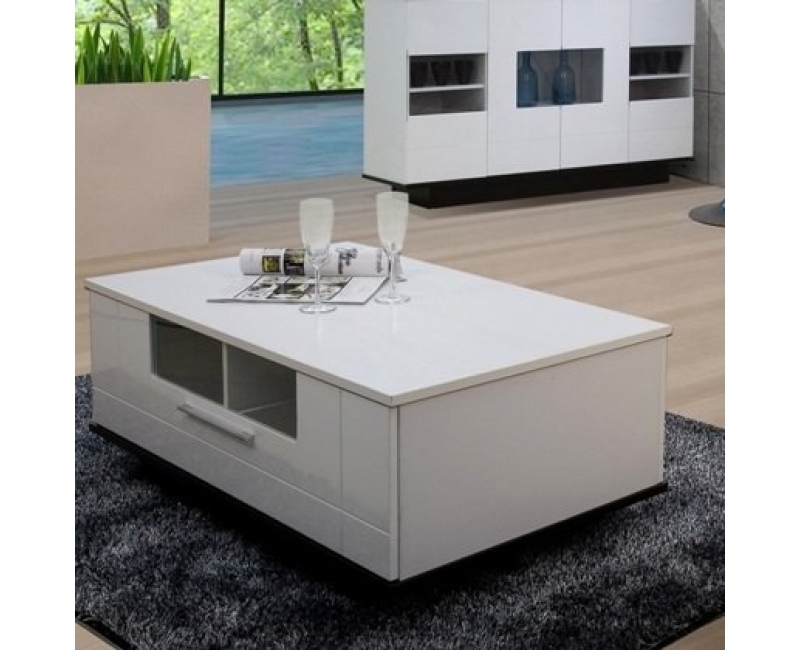 The coffee table of the set is a matching bright white with a dark black bottom. The loosely square shaped wooden piece has a large drawer underneath which is perfect for keeping the remote controls used around the room and the magazines and catalogues you often go through. The last piece of the set is a storage area/ mini bar. With a total of seven shelves of different sizes, it has a lot of space to store all the items you keep around the living room, like CDs, DVDs, or books. 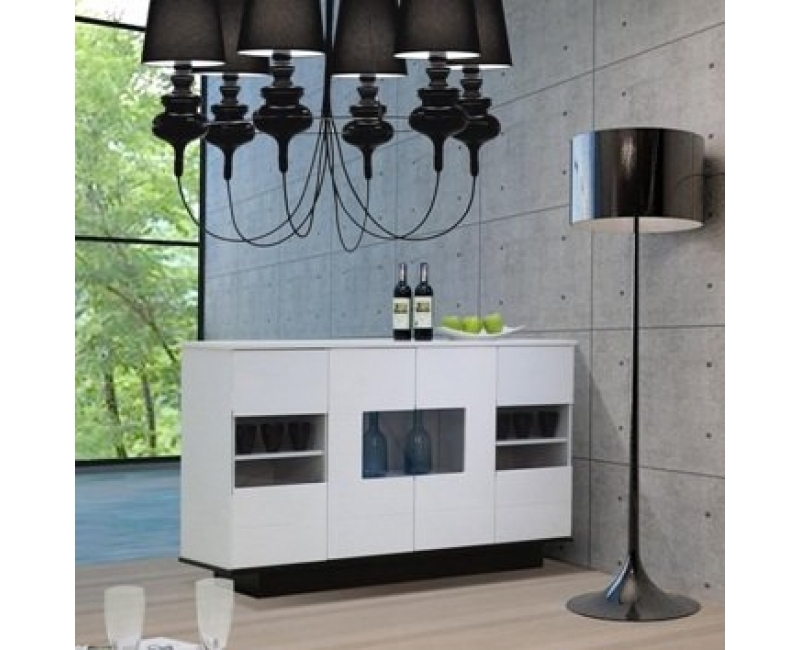 However it can also be used as a space to place your wine and alcohol bottles as well as all the different glasses and ice trays which will be ready for use when spending a night in or entertaining guests. All together they create a perfectly modern and practical living room for you to enjoy.